The ultimate goal with regards to branding is to create consistency for your business. The ideal solution is to avoid having to rebrand as this will definitely confuse your clients and target audience, it can also be quite costly to your business as it can portray you and your business as untrustworthy and unprofessional. The first thing I suggest is - AVOID hiring a cheap brand identity designer, and avoid getting “just a logo”. I know… it sounds like I’m sharing nonsense, but trust me, as one of my clients once said to me “you pay peanuts you get monkeys”, so don’t hire a cheap designer, but instead put money aside to invest in branding that really portrays your business vision and goals. In the meantime, whilst you save up, don’t try and BE a designer (firstly, it’s not as easy as it may look, and secondly, it’s not your area of expertise so please try not to turn into a designer and create something that you THINK works - I say that in the nicest possible way). Instead, pick a clean font, and simply type out your business name. Keep it simple and straightforward. Blogging can do wonders for your brand and business. Often small business owners forget that a brand isn’t just a logo, but it is everything that visually and verbally (whether that be on the phone, email, in advertising, or marketing collateral) encapsulates your business vision, goals and personality. It is all part of your branding. Blogging is a fairly inexpensive way to build your brand. Being able to showcase your expertise, provide advice, share content, and build your credibility are just a few reasons why blogging is a great way to build your brand on a small budget. Depending on your industry and background setting up a website can either be easy peasy or super difficult. Either way, there are a number of resources out there that have made it easier for small business owners to create a website. To name a few platforms: Squarespace and Wordpress, are 2 that spring to mind straight away. I definitely recommend purchasing a theme or a template that is easy to customise and is responsive (so looks great on mobiles and tablets) and is intuitive to set up. I personally use and recommend Squarespace to all my clients as I believe it is much more beneficial to small business owners. Again, it’s a case of concentrating on what your expertise is. 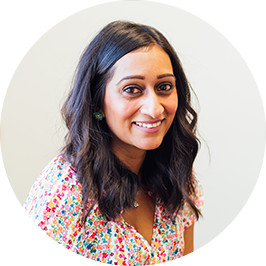 Squarespace is easy to set up, responsive, has beautiful templates (that can be customised), it’s user-friendly, easy to maintain, secure and has great social media integration. Having switched from Wordpress to Squarespace myself, I can honestly say, hands down it's been one of the best decisions I have made for my business. Note: I am a Squarespace Circle member, which in a nutshell means I get 20% off the first year of Website or Online Store annual plans, and I get a 6 month trial period on new websites, meaning if we work together to build your website, we have a longer time period to perfect the look and feel, the style, the content, before we launch your website. To provide you with a bit of insight, if you sign up to Squarespace yourself, as a new user, you will only get 2 weeks trial period before you are asked to upgrade. Collaborating with other small businesses or brands is a great way to promote your brand and business in a cost-effective way. Obviously, you want to make sure you share the same type of audience and it is in line with who your target audience is. You would also need to consider what you bring to the table, especially if you are trying to collaborate with another brand that has a bigger audience than you. But definitely, co-branding, guest blogging, and collaborating with others can help you to brand your business cost-effectively. Recently I contacted a small business to help me set up some Ikea furniture. To get straight to the point, the small business was absolutely appalling with regards to their customer service. The lady on the phone, although was not the business owner, was rude, unhelpful and the experience I had was one I will not forget. And not in a good way either. Once the call ended I was left with an unforgettable experience which led me to never want to contact that small business again or recommend them to anyone I know. The point is, by creating an awful experience, their brand and business will negatively stay with me, for a long time. Ideally, you want the opposite for your small business. You want to create an outstanding experience so that anyone that comes in contact with your brand will have an unforgettable, GOOD, experience. A shareable experience that your client will want to tell other people about - this inadvertently spreads the word about your brand and business, in a good way, and word of mouth is a great way to gain repeat business and new business as well. Especially as people are more likely to get in touch with a small business for their services if based on a good recommendation. 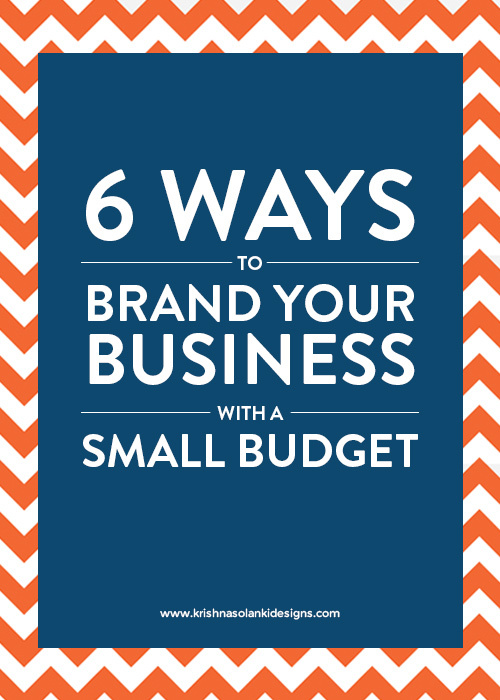 It’s a straightforward way to brand your business on a budget. Don’t forget to have already established your brand voice and personality though. More on that in this article: How To Build A Successful Brand In 8 Steps For Your Small Business. The above leads me to share, your brand should create an emotional connection. A positive emotional connection. It’s the emotion and experiences your clients, potential clients and target audience need to feel in order for them to want to work with you. Your logo, font, brand colours and visual elements should also create an emotional connection too, you want your website visitor to instantly recognise your logo, colours and how they all work together. Ultimately, you need to be sure of your business vision, goals and personality. Once you have nailed that and are confident in knowing you have understood your own on business requirements I recommend investing in and working with a brand designer who will help create a strong visual identity. If you need help clarifying your vision, feel free to get in touch as I have a workbook that asks numerous defining questions, which are part of my branding workbook. The key is to always create value. I would love to hear your thoughts on how you have tackled this issue of branding with a small budget.